1. University of Florida, Gainesville, Department of Pharmacology, February 5, 2014. 2. University of Tennessee Health Science Center, Memphis, Department of Pharmacology, March 5, 2014. 3. Meeting: “G protein-coupled receptors: structural dynamics and functional implications”. Keystone symposium, Snowbird, Utah, March 30 through April 4, 2014. 4. 5th Focused Cell Signaling Meeting, British Pharmacological Society, Leicester, UK, April 28-29, 2014. 5. Meeting “Biomolecular structure, dynamics, and function: membrane proteins”. Vanderbilt University, May 2-4, 2014. 6. ARVO annual meeting, Orlando, FL, May 4-7, 2014. 7. Department of Pharmacology, University of Michigan, Ann Arbor, May 8-9, 2014. 8. Faculty of Pharmacy, University of Toronto, Toronto, Canada, May 15, 2014. 9. Meeting “GPCRs: Structure, function, and drug discovery”. Boston, MA May 22-23, 2014. 10. FASEB meeting “G protein-coupled receptor kinases: from molecules to diseases”. Steamboat Springs, CO, June 8-13, 2014. 11. Keynote talk at the 2014 G Protein Signaling Workshop, Philadelphia, PA, June 16, 2014. We are interested in the structural basis of the function of arrestin proteins. G protein-coupled receptors (GPCRs) are the largest known family of signaling molecules, with ~800-3,200 subtypes in mammalian species. Arrestins bind activated phosphorylated GPCRs, shutting down their signaling via G proteins (desensitization), targeting receptors for internalization, and redirecting the signaling to mitogen-activated protein (MAP) kinases and other G protein-independent pathways. We solved crystal structures of all four subtypes of vertebrate arrestin proteins and elucidated the mechanism of action of the arrestin phosphate sensor. This allowed us to construct arrestin mutants that bind the active form of their cognate GPCRs regardless of receptor phosphorylation. These “super-arrestins” may prove useful for gene therapy of disorders associated with excessive signaling by various GPCRs that range from night blindness and retinal degeneration to several forms of cancer. We found that transgenic expression of phosphorylation-independent mutants of visual arrestin prevents retinal degeneration in several mouse models with deficits in rhodopsin phosphorylation. We also found that phosphorylation-independent non-visual arrestins dramatically change receptor trafficking in cells and the ultimate fate of the internalized receptor. Mammals have only four arrestins, two of which are expressed in photoreceptor cells in the retina. Thus the remaining two non-visual arrestin interact with hundreds of different GPCRs. We have identified the elements responsible for the preferential binding of arrestins to particular receptors and we are constructing mutants specific for individual subtypes or small groups of receptors. The arrestin-receptor complex often serves as a nucleus of the “signalosome” where receptor-bound arrestin recruits and activates a variety of signaling proteins, including the components of the trafficking machinery, small G proteins and their regulators, ubiquitin ligases, c-Src and related kinases, etc. The complex also facilitates the signaling in MAP kinase cascades acting as a scaffold by directly recruiting MAPKKK and MAPK. We are identifying the interaction sites for the non-receptor binding partners of arrestin proteins with the ultimate goal of constructing arrestins that can selectively couple specific receptors with the signaling pathways of our choosing. These custom-designed arrestins will be useful tools for experimental manipulation of cell signaling and have potential therapeutic value in a variety of disorders associated with faulty signaling due to genetic or acquired defects. We believe that the combination of different approaches ranging from hard-core biochemistry and X-ray crystallography to cell culture and transgenic animals is necessary to answer biologically relevant questions concerning various facets of arrestin function. Looking for ambitious, highly motivated candidates who are willing to work hard and think hard to achieve their goals! Nicki Perry honored with Lai Sulin Scholarship! Dr. Qiuyan Chen pubishes an article in Nature Communications! 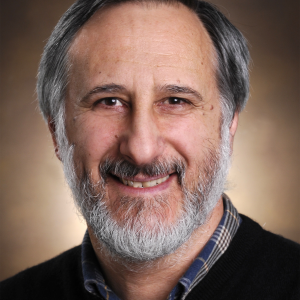 Dr. Gurevich recieves Corneius Vanderbilt Endowed Chair!